Catch the latest news that relate to Downtown Denver & LoDo as well as anything Wine, Beer, and Liquor related. Free Daily Giveaways All Week! Every day that you stop in the store you’ll have a chance to enter the day’s giveaway. 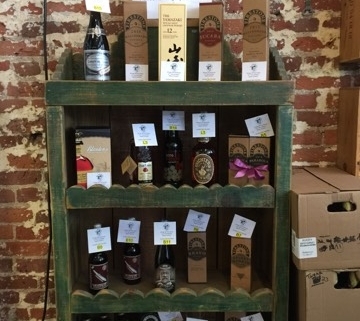 At the heart of the giveaway is a random assortment of wine, beer and liquor. We’re also including some of those goodies that you always want but never end up buying or having around like wine stoppers, foil cutters, chiller bags and a bunch of other things. The package will also be bundled up in one of our 21st Anniversary Commemorative Tote Bags! We’ll give one package away every day until Sunday, July 1st. Just write down your name and a way to contact you, and we’ll reach out the following day if you won! http://winedenver.net/wp-content/uploads/2018/06/IMG_5187-e1530026225405.jpg 800 600 admin https://winedenver.net/wp-content/uploads/2017/04/Background-300x300.png admin2018-06-26 10:18:492018-06-26 10:18:49Free Daily Giveaways All Week! We’re turning 21! 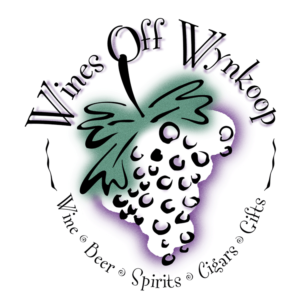 A pretty good age for a wine, beer and spirits store to turn. We want to share this with you through 7-days of giveaways, sales, a silent auction, and an appearance from Alan Laws (Laws Whiskey House). It’s a week-long birthday celebration! We’ll also be sharing a portion of each day’s sales with seven of our favorite, staff-selected non-profit organizations, for a total of $2100! Daily Grab Bags – From Monday (6/25) to Sunday (7/1) come on in and enter the day’s contest. 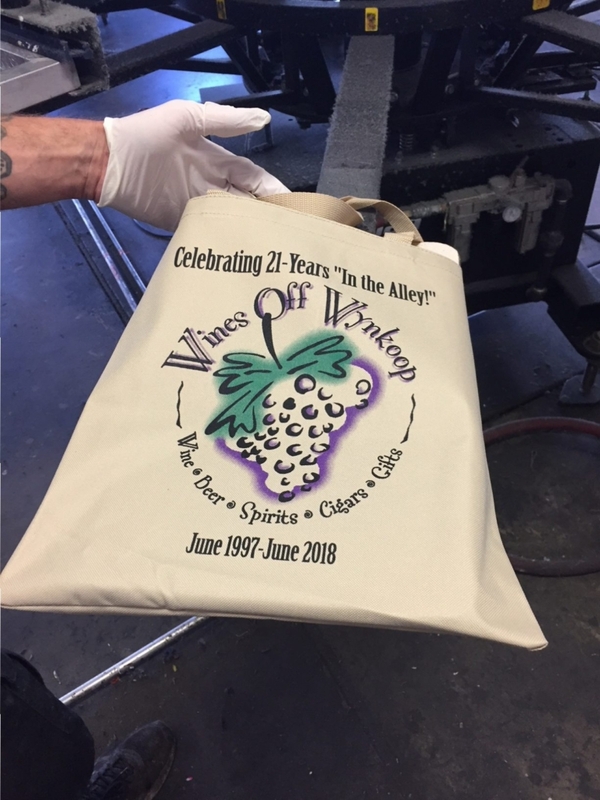 The following day we’ll announce the winner and you can come pick up your free wine, beer, or spirit goody bag that will be in a commemorative totebag! Sales – 21% off a different category every day. Whether you’re looking for beer, wine, spirits, or anything else that we carry, follow our social media to see which category of product is up for 21% off that day. Friday meet, greet, bottle signing & tasting with Alan Laws – If you haven’t had a chance to taste our own Single Barrel of Laws’ Four-Grain Straight Bourbon, what better way to do it than to have Alan Laws pour it for you! And for FREE! He’ll be in-store to tell you about his whiskey, answer any of your questions, and sign a bottle for you. Silent Auction – This is one of those occasions when we HAVE to open our vaults and let the rare stuff out. Below is a list (potentially with more to come) of some of our favorite hard-to-find beers and whiskeys that will be available for you to bid on. 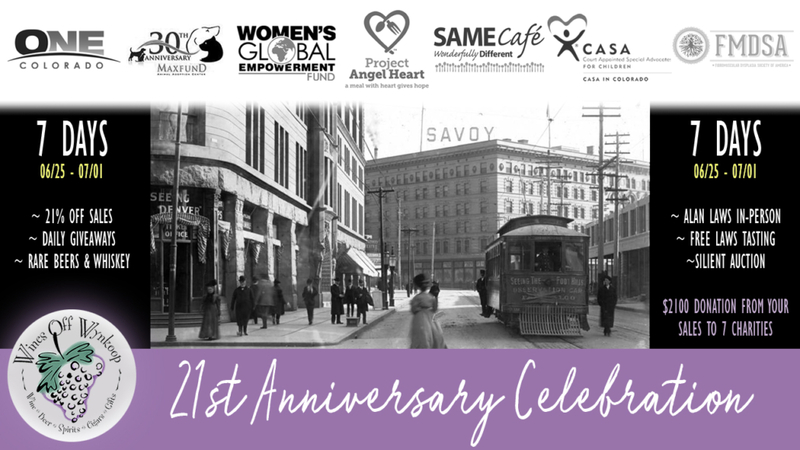 So come help us celebrate our 21st Anniversary! Come in any day of the week and you’ll find something special going on.